I highly recommend this! It's quality is excellent, it's easy, and just downright fun! 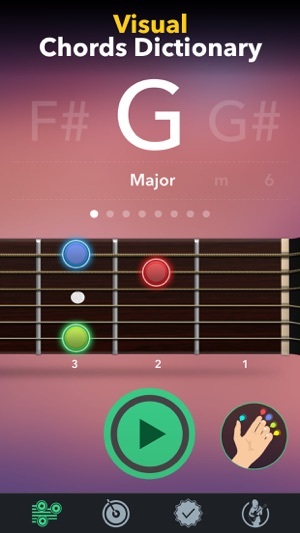 I'm in a family of people that plays guitar and they're always complaining about how hard it is to tune a guitar, but this app gets the job done in mere minutes! Today one of my strings was miraculously loose, so much so that it didn't even make sound but with all I've learned from this and the tuning system I could fix it in under 10 minutes! THAT is amazing! Now I'm a COMPLETE noob to guitar, barely ever picked one up let alone play it but this app makes me feel like a pure pro! 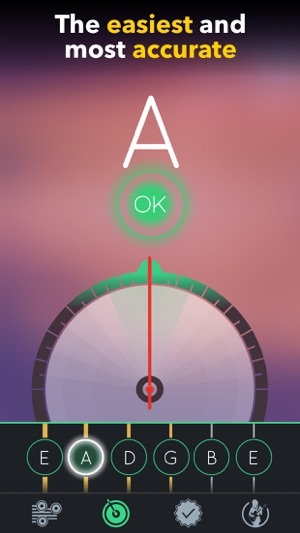 If you need a tuner, teacher, guitar buddy, someone to help you from tuning to playing songs, this app is 11/10 by me! Initially it was not my favorite tuner because it's not "pretty" and the needle moves slower than I like and sometimes it doesn't know which string you are attempting to tune when switching from alternate tunings. However, it has become my go to tuner when using anything other than standard tuning! It has a library of alternate tunings that is large and impressive! One of my instructors give me a alternate tuning assignment every week - Tony Polecastro - and this app is always right on with its organization and # of alternate tunings! 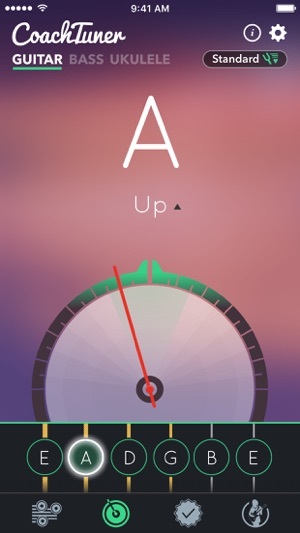 No other tuner I have found is as efficient when it comes to alternate tunings. Suggestion to developers: include the ability to change the reference scale. I like to tune to 432mhz as well (vs. 440mhz). This tuner has held up for me time and time again. 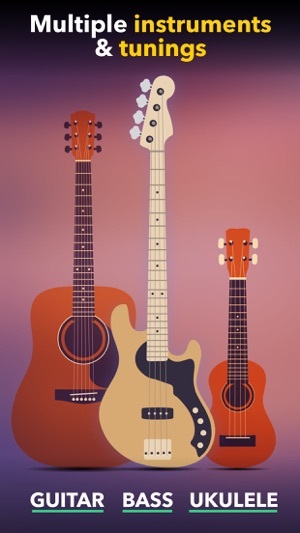 The ease of use for a guitar player to both plug in or go acoustic to get in tune is substantial in this app. I’m not just impressed that this sort of thing can be built into my phone (I’ve used plenty of bad tuning apps) but also it’s unmistakeable and no fuss GUI, make it a must have for the traveling crooner. Such occasions for spontaneous need for tuning most assuredly include drunken jam circles. You’ll be glad you grabbed this freebie. It doesn’t let you down. It only lifts you up.